Wanna See What The Fish Looks Like As He's About To Eat Your Bait? Now You Can With The GoFish Cam | OhGizmo! By David Ponce on 07/23/15 • Leave a comment! It’s a good time to be an action cam, so much so that manufacturers have started exploring which realms aren’t already ripe for capture. GoPros and the like are great for recording anything that happens to you, but what if you’re really curious to see how your fish react to the bait at the end of your fishing line? 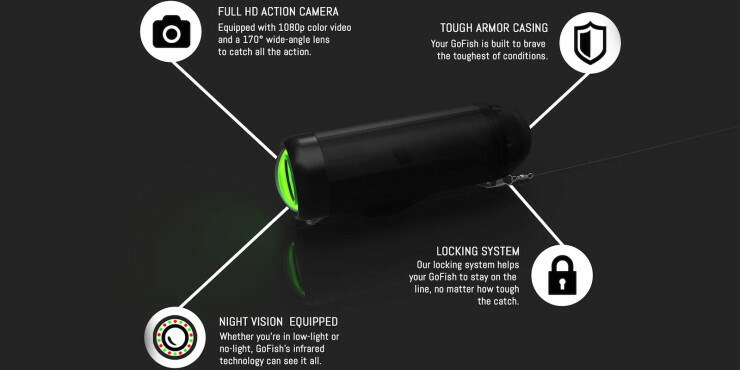 The GoFish cam was designed specifically to be attached securely to a fishing line, providing you with 1080p footage of the underwater action. 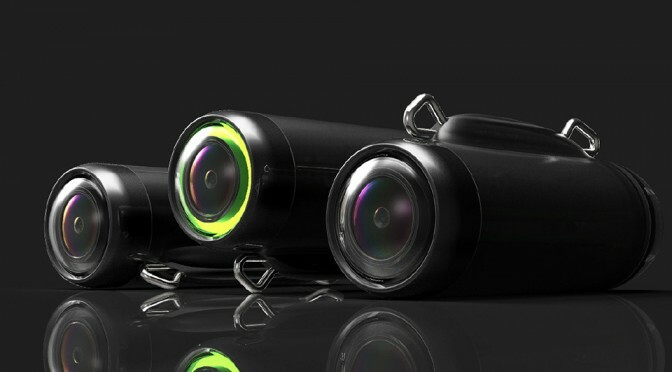 A tough waterproof casing allows it to go down to 150m, and infrared lights make it possible to still see what happens even in low-light conditions. The rest of the features are much like standard actions cams of today, so it’s really that underwater, line-locking ability you’ll be spending $149 for. It’s being Kickstarted at the moment, so you’ll have to wait until March of next year for yours if the fancy takes you.